Megatron created the Beast Riders technology to hunt down the remaining inhabitants on Cybertron and capture their sparks. His personalized transport, Mechatron, is unstoppable and fashioned from his sinister recycling projects. Though purely mechanical, Mechatron resembles his master´s dragon mode, due to a failed attempt by the despot to erase the organic beast from his very being. This eerie battle chariot is programmed to shred through or bombard anything that gets in its path. Twin "claw" flame-throwers debilitate enemies from large distances, and its central fusion cannon nullifies all resistance. Mechatron is outfitted with an upgraded spark-capture claw that can tear out the entire laser core of any Transformer defender. Prelude: Beast Machines was one of those series where the cast of characters actually appearing in the series was far smaller than the number of toys. Thus a great number of characters and concepts from Beast Machines only exist in toy form and have nothing but their tech spec texts to tell us about them. Mechatron is one such… what is he, anyway? Character? Drone? Concept? I’m not sure. But here he is, Beast Machines Mechatron. Chariot: According to his tech spec, Mechatron is an “Assault Chariot” and serves as the personal transport of Megatron. The toy reflects this by basically being a vehicle with no robot mode. It’s exactly what it says, a chariot, with a huge red dragon face out front. The mouth of the dragon contains a double missile launcher and pressing down on the dragon’s snout causes the chariot to roll across the floor due to a friction engine. The two clawed arms on the side can swivel forward and the claws rotate when the chariot drives. For an additional feature the chariot has a fold-out capture claw, which is supposed to be a spark extractor. The little platform on the back can stand a Basic- or Deluxe-sized figure, though it’s meant more for the Basics. When folded back, the capture claw can be used to stabilize the figure you’ve selected to as driver. It should be said, though, that Megatron (a Mega-sized figure) does not fit onto the chariot, despite it being his “personal transport”. We may need some mass displacement here. Anyway, Mechatron is a weird, but fun little toy. Think of it as a support vehicle for your figures, though, not really a figure by itself. Remarks: Mechatron’s tech spec text refers to the idea that Megatron was doing his utmost to get rid of his organic dragon mode and apparently one of his failed attempts to do so created Mechatron. Good enough for me, I guess. Actually I think Mechatron would have worked well as an additional drone in Megatron’s Vehicon army. 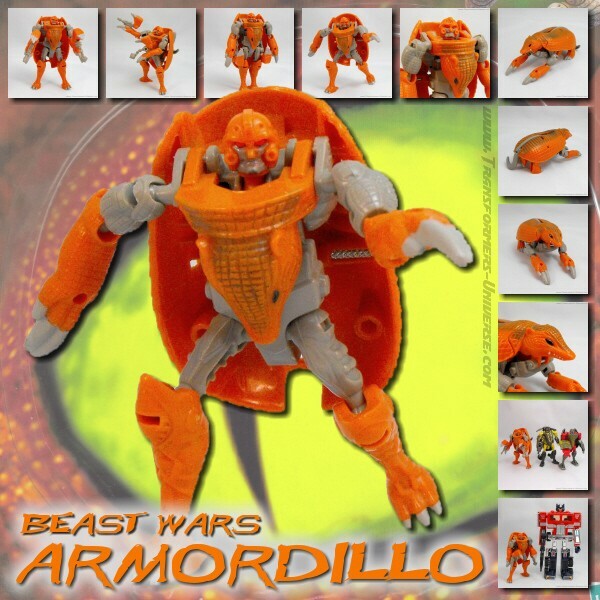 Anyway, Beast Machines was one of those series that considered “very weird” a badge of honor and gave us a lot of very strange toys. Mechatron is definitely one of them. He’s not really a Transformer as fans understand the concept, but he is nicely weird, fun, and wasn’t really that expensive, either. So bottom line, definitely not a must-have by any definition, but worth a look if you’re like me and like the occasional touch of weirdness in your Transformers collection.